Showing results for tags 'training to be a special'. A strange and regrettable decision has been taken by the British Transport Police. Today’s Sun on Sunday reports that it has decided to dispense with the services of two special constables, David Davies, the MP for Monmouth, and Philip Hollobone, the MP for Kettering. Our legislators are often accused of being cut off from ordinary people. It is to Davies and Hollobone’s credit that between them, they have accumulated 15 years’ service as specials: a form of public service very different to being an MP, and certainly a way of experiencing the world from a different angle. Last year, a new code of ethics was introduced for police officers, which says they “must not take any part in politics”. But chief constables are allowed to exercise discretion in individual cases. It seems, to say the least, a great pity that Paul Crowther, chief constable of the British Transport Police, did not decide to keep Davies and Hollobone. It happens that the two MPs concerned are Conservatives: but the Sun On Sunday reports that Brian Donohoe, the Labour MP for Central Ayrshire, who is himself a former special, has described the chief constable’s decision as “a mistake”. Mike Penning, the policing minister, has urged a re-think, while Davies himself has said he did not want to leave. No police officer, whether full-time or part-time, should allow his party political convictions to affect the way he carries out his duties, but there is absolutely no suggestion that these two MPs were doing so. It is ridiculous and unjust to imagine that parliamentarians are unable to behave in a strictly unpartisan manner when carrying out roles which require such conduct. Even at Westminster, they quite often have to do that. It is no good accusing MPs of being cut off, and then stopping them from serving as specials. This decision should be reversed. http://www.conservativehome.com/parliament/2015/01/davies-and-hollobone-should-be-reinstated-as-special-constables.html I posted the above article rather than the BBC one http://www.bbc.co.uk/news/uk-wales-30768583 as they have not quit as the BBC states but rather been asked to resign. Also this article provides more discussion and opinion for us to comment on. Just out of interest, are there any Detective Special Constables out there anywhere, as I know some specials can specialise. Here's one for you folks... How many Special Constables does it take to change a lightbulb.... Eh hang on wrong question With all of the austerity cuts that affect the servuce at the moment many departments have been reduced in size. I know our Roads Policing Unit has sustained a number of cuts with staff who have either retired , not replaced or alternatively moved back to district policing. To some degree not completely their places have been back filled by the use of Special Constables which in the case if my force is a new move towards further integration of regs and specials in specialised areas, where previously they were predominantly working within neighbourhood policing roles. Now ours haven't been given the authority to drive the RPU vehicles but in time this might change but it's early doors. I just wondered what it's like in other forces really. Does your force provide opportunities to specialise in RPU for instance and if so, what's your role like. Do you have greater freedom. What do you actually do or allowed to do. I'd be interested to know your thoughts. Thanks folks. Quiet commitment deserves our respect! So Special Constables are not allowed to be members of the Police Federation? I read somewhere that there was a debate last year and it was agreed in principal that Specials could join but nothing moved forward from that. The real question here is if a Special Constable needs legal representation for a Constabulary related matter who does he/she turn to? A private Solicitor which will obviously cost! Are we really this under represented considering that we are open to the same disciplinary procedures as our regular colleagues. I agree that we should be subject to the same disciplinary procedures but also think that we should be afforded some sort of legal representation. Does anyone have thoughts on this or an answer to be legally represented should we need to be? As I notice some of the other force forums have done it, I thought I would help out. I'm pretty sure TVP issue the following to all Special Constables: 1 x Peaked Cap (male) / Bowler Hat (female) 1 x Black Soft Shell Fleece 1 x Lightweight Long Sleeve Hi-Vis 1 x Heavyweight Long Sleeve Hi-Vis 1 x Long sleeve black wicking shirt 1 x Short sleeve black wicking shirt 2 x Black combat Trousers 1 x Black Waterproof Trousers 1 x Hi-Vis Over trousers * 1 x Pair Shoulder Boards (fold over style for wicking shirts) 2 x Shoulder Sliders (1 for DPV and 1 for soft shell) 1 x Dual Purpose Vest Holder 2 x DPV Panels for above 1 x DPV Bag 1 x Radio (Personal Issue) 1 x Radio Earpiece 1 x Radio Clip for Microphone loops on Jackets 1 x Radio Cover 1 x Duty Belt 1 x Trouser Belt 1 x PJ ILG Handcuff Holder 1 x PJ ILG 22" Baton Holder 1 x PJ ILG CapTor holder 1 x Belt KlikFast Dock 1 x First Aid Pouch (with gloves and face mask) 2 x Belt Keeps 1 x Clear Plastic PNB Cover 1 x Pair of black leather gloves 1 x Mondanock 22" Autolock Baton 1 x HiAtt Quickcuffs 2 x Short Cuff Key 1 x Warrant Card Holder 2 x TVP Badge (one for shirt / spare and one for warrant card holder) Above 5 items will be issued at OST, returned to trainers and then issued at attestation. * Hi Vis over trousers are not always issued to every SC! West Midlands Police Police Constable - Status: Closed (last updated 16-Jun-2017) Recruitment is about to open for Police Constables - West Midlands PC Recruitment page. Special Constable - Status: Closed (last updated 16-Jun-2017) Recruitment is currently closed for Special Constables. PCSO - Status: Closed (last updated 16-Jun-2017) Recruitment is currently closed for PCSOs - West Midlands PCSO Recruitment page. Police Staff - Status: Open (last updated 16-Jun-2017) There are currently a number of vacancies, however, this changes regularly, please visit Current Vacancies for the latest. Please post to the Recruitment thread if you know of any news on recruitment. An excellent post originally posted by Giraffe Special Constabulary Ranks: Image to be uploaded - SC = Crest and FIN, S/INSP = Crest, 2 bars and FIN, CO = 4 bars inside laurels. Regular Ranks: A few points of note: Specials in Surrey do not display the SC&Crowns on their uniforms. Regular Inspectors and above do not display collar numbers. The Surrey Police crest is displayed for Specials ranks up to and including Inspector, and up to and including Sergeant for Regulars. The collar number displayed is not indicative of Specials or Regulars - it's purely random. New Specials are issued the standard 'Surrey Police' hat badges, but a small number of longer serving Specials still wear a badge in the above style (obviously the badge is smaller for flat caps / bowlers. All warrant card holders have 'Surrey Police' on the badge. Longer serving officers' (Special or Regular) badges are topped by a silver crown (like above), and officers who joined (or got a replacement hat) in the last <5 years get a gold crown at the top (this also applies to the badge in warrant card holders). The uniform/equipment for Special Constables (all personal issue) is as follows: 1 x Warrant Card 1 x Warrant Card Holder (Leather Wallet with badge) 1 x Name Patch (velcro attaches to stab vest) 1 x Pocket Note Book 1 x ASP Baton (21 inches) 1 x CS Incapacitant Spray 1 x Handcuffs + x2 short cuff keys 1 x Airwave Radio + earpieces 1 x Equipment Belt 1 x Gloves (leather) 1 x Chequered Flat Cap (male officers) 1 x Chequered Bowler Hat (female officers) 1 x Helmet (Custodian) (male officers) 1 x National Fleece 1 x National Jacket (hi-vis) 1 x Reflective Slipover 1 x White Shirt (short sleeve used for training) 1 x White Shirt (long sleeve used for attestation and ceremonies) 2 x Black Shirts (short sleeve, long sleeve can be requested on Borough) 1 x Cargo Trousers (for training, and duties) 1 x Cap Cover (male officers) 1 x CS Holder 4 x Epaulette's (Pairs) 1x pair of Epaulette slides 1 x Black Clip-on Tie (cravats are no longer issued to female officers) 1 x First Aid Pouch 1 x ASP Baton Holder 1 x Pocket Torch 1 x Torch Clip 1 x Speedcuff Pouch 1 x Body Armour 1 x Body Armour Holdall 1 x PSU Holdall As with everything there are exceptions, but generally it's as above. A big thanks also to abdesignuk for providing the above list. The kit list has been updated to reflect the changes from 1st January 2011. Female officers are now issued with a tie. Magnum boots are no longer issued, instead SC's may claim up to £50 via the normal expenses procedure to purchase their own choice of suitable boots. Here's a thread to discuss pay made to Special Constables and Volunteers. You can discuss anything relating to Payment, bounty's, expenses to the volunteers in the Police service. Discuss what you already get, what you would like to get, what you think you should get, what you've heard others get.....you get the picture. Frankly, after my pay doubled on promotion to S/Insp I have no complaints. Of course, double nothing is still nothing, and I never wanted any pay for the role, I was even reluctant to claim expenses for a while until I was convinced to do so for budgeting reasons. Go for it. 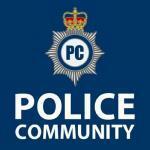 Surrey Police ARE recruiting SC's! Officers within the Metropolitan Police have access to free travel around the capital. This is split into two parts; the ATOC agreement and the TFL concession. TFL Concession All police officers in the Metropolitan Police are entitled to free travel on TFL run services as a concession gifted by TFL/The Mayor. This includes all special constables in the MSC and all regular police officers. This travel used to be available on production of a warrant card, however all officers have now been issued with a Police Oyster Card which must be used. If you don't have an oyster card, I'm afraid you have to pay. This concession allows travel on; Tube London Buses (i.e. Buses operated by TFL; in the border lands there may be non-TFL buses which do not fall under this concession) Croydon Tramlink Docklands Light Railway London Overground (services operated on behalf of TFL by LOROL. This is not the same as mainline/National Rail services) ATOC Agreement The Metropolitan Police has an agreement with the Association of Train Operating Companies that creates "free" travel on National Rail services that run within a 70 mile radius of Charing Cross. This agreement is actually paid for by the Metropolitan Police, and so is a benefit in kind, and so eligible officers must opt into the scheme and costs a small amount each month. This scheme is only open to regular police officers who were in service in August 2013. It is not open to special constables and is not open to new constables. Travel is available on the production of a warrant card and a highly professional looking piece of laminated paper. This agreement allows travel on; National Rail within a radius of around 70 miles (ish) from Charing Cross; Map A word of warning If you are not a member of the ATOC scheme and you are caught travelling on a mainline train, you will be considered to be a naughty boy/girl and if you do manage to avoid prosecution for either the crime of fare evasion or the bylaw offence of ticketless travel, you will likely be subject to an immediate cessation of chocolate rations and will be invited to an interview without coffee from which you will likely leave with your pockets slightly lighter.